Cool ideas to bring folk style into your house! It is safe to say the folk style in interior design and decoration has become a trend here in South Africa just as much as in America and European countries. In the light of the ever-increasing popularity of minimalism, folk style is a refreshing alternative where less is never more. This style promotes self-expression and individuality brought to life in a variety of decorative and functional objects. There are many ways to bring folk style into your house, but no two rooms will ever be the same. Folk is inherently individualistic and it will not be found in repetitive items, colours or patterns. Join us as we take a closer look at folk style as well as a few ways in which it can be brought into a home! Folk style in decoration and design has its origin in folk art. This differs from fine art in the sense that rather than being purely aesthetic, it is principally decorative and functional. In folk art, the traditional artistic principals of perspective and proportion is not really too important, and the style is predominantly naïve. Each culture will have its own folk style, but when we think of folk style these days, we are actually thinking of American folk art or style. 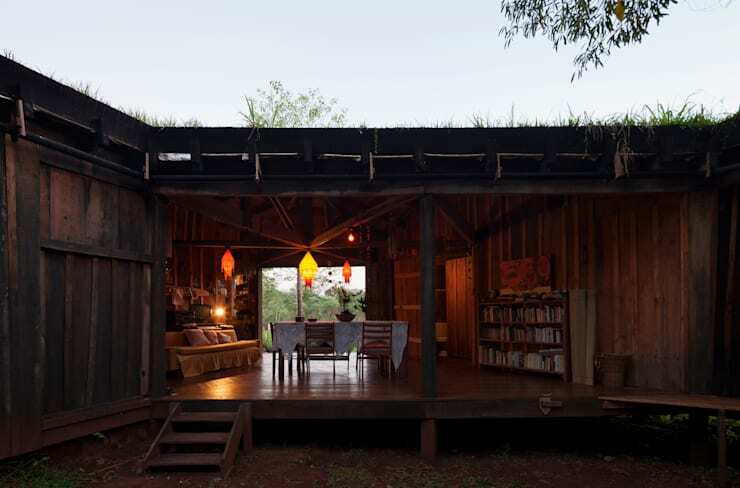 It includes many mediums, such as quilting and woodwork and often looks similar to rustic or bohemian styles. This style is also closely related to the Arts and Crafts movement and style, where craftsmanship is prioritised. Contemporary folk style includes many of these elements or styles reminiscent of it. In the last couple of years, folk style has gained enormous popularity and has not yet lost momentum. This can be seen many dimensions, including art, design, fashion and music. Folk style in design is also greatly promoted by its association with currently popular folk music. Although folk style in interior architecture and design is trendy at the moment due to the surge of folk in popular culture, it also has an element of timelessness to it. Superior crafted wooden items will never go out of style and decorative handmade objects stand a great chance of always being appropriate. The bedroom is probably the best canvas for bringing in folk elements. Since this is a very intimate and personal space, the essential individualistic character of folk style will be perfectly suited. There are, of course, also a range of ways to express folk in the bedroom. This includes furniture, decoration and textiles. As seen in this example, the wooden stool type night stand can bring a folk charm, but the textiles used for the bedding really do the trick. Geometric patterns such as this is well-known in folk designs and the neutral colours are certainly conducive to this overall theme. The woven light shades are also a great addition, reminiscent of hand-woven reed products. The kitchen is not usually the first room thought of when considering adding folk elements to a home. It can be difficult in general to decorate a kitchen extensively without hampering functionality. Surprisingly enough, simplicity must be employed when considering folk style for a kitchen. 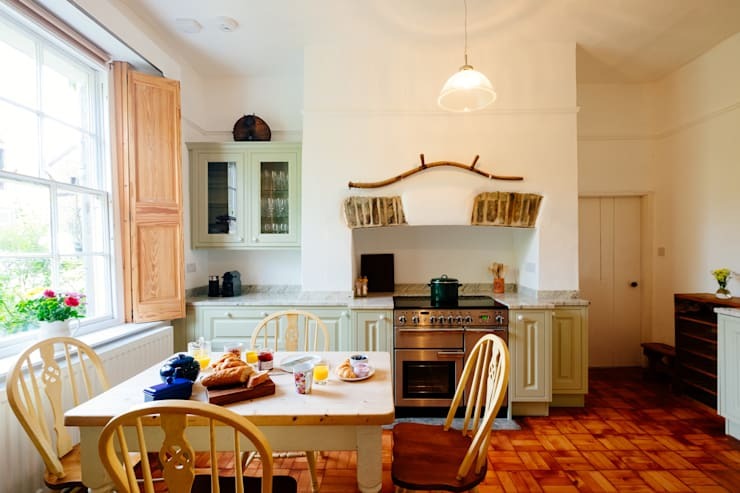 Although we are nowhere near minimalist, there are some basic elements that can give a folk character to a kitchen. Think about wooden parquet flooring, exposed stone, and other wooden pieces. This style is overlaps somewhat with country style. This is not inappropriate, as traditional folk craftsmen where mostly from more rural areas. 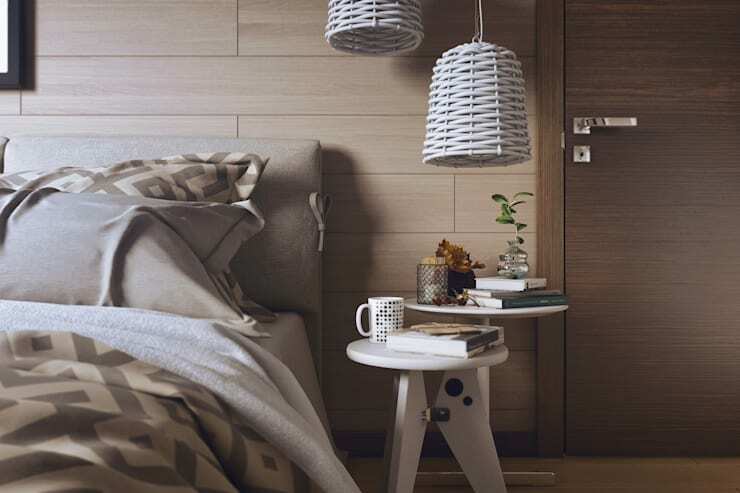 Take a look at some other ways to integrate wooden elements in your home. The living room is the ideal space to show off good style, and an excellent opportunity to bring in a folk character. As it is often the main area for entertaining in any home, it is ideal for portraying the style of the home owner's choice to any guests present. The same guidelines for the other rooms discussed count, but the living room provides a few extra opportunities for folk expression. 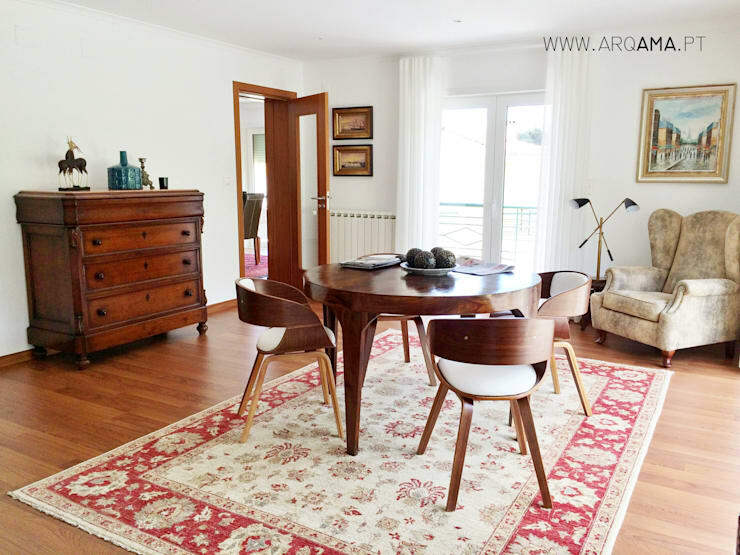 A hide or faux hide as rug can be an excellent homage to traditional folk style. 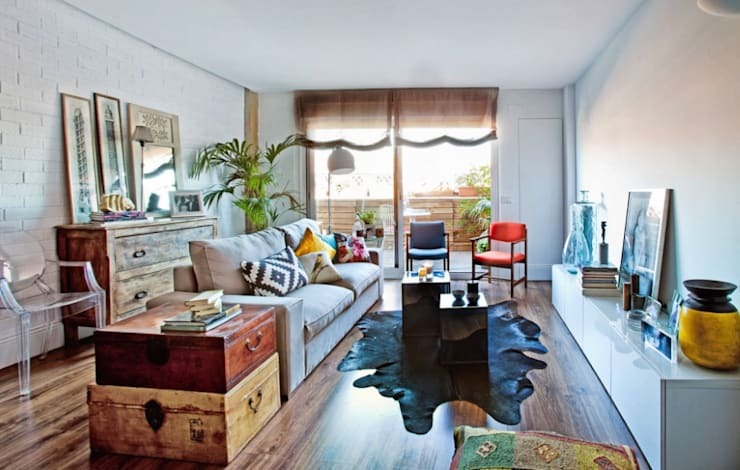 As seen in this picture, rustic old suitcases are also a stylish and multi-functional addition to the living room. It can be used as furniture, decoration and storage simultaneously! Decorating in a folk style should be no problem at all, since folk is rooted in functional decoration. This is also a great opportunity to go wild with colours and designs without the restrictions of high art. Floral inspired patterns and designs have always been popular in folk style, and has been ever-present in folk decorating like a golden thread. The simple beauty offered by nature is perfect inspiration for folk items, and will always be a great choice in adding folk character to a home. 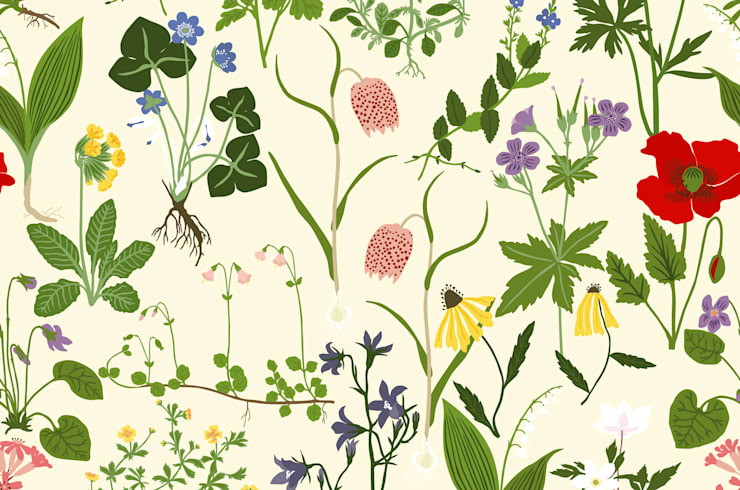 A good place to use floral folk as decoration would be wallpaper, as it allows for an extensive canvas sure to do justice to the folk theme. Folk style is the perfect candidate to allow for do-it-yourself items. Seeing as the whole style is about craftsmanship and individualised pieces of furniture and decoration, folk is definitely the opportunity for hand- and home-made objects. There is no wrong turn when it comes to wooden items. However, it might not even be necessary to craft your very own piece of furniture—not all of us has the time and talent for that! Fortunately it is not difficult to give a second life to existing objects to bring out a folk style incarnation. 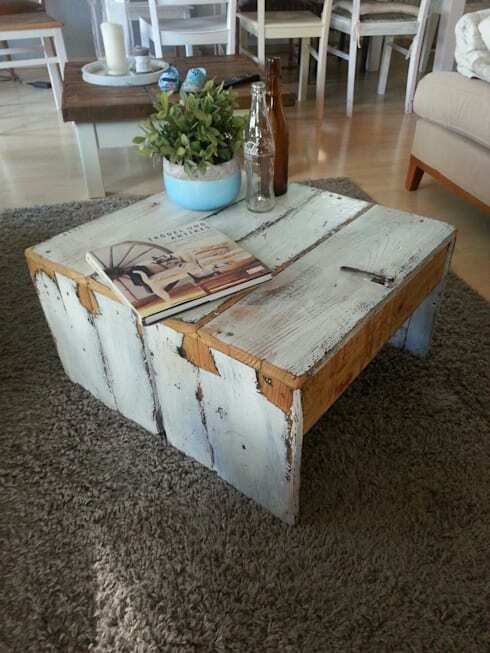 This wooden coffee table, for example, was rendered an unique folk beauty by a simple and shabby white wash. Why not see what you can do with what you have at home already? What do you think about folk style interiors? We'd love to see your thoughts in the comments below.